Critical Review – and the title is…. In her feedback on my proposal for a Critical Review my tutor Sharon made the following observation: ‘ I’d like to know from the title what it is about documentary or context and meaning that you would like to compare’. This is an excellent starting point from which to construct the process I will use to carry out my comparative study of the three photographers/works I plan to include in my comparative study – Frank/The Americans, Sekula/Fish Story and Norfolk/Bleed. 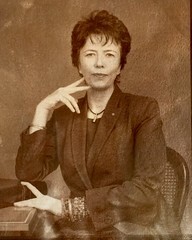 The first thing to say is that the meaning of a photograph or series of photographs is influenced by multiple factors. 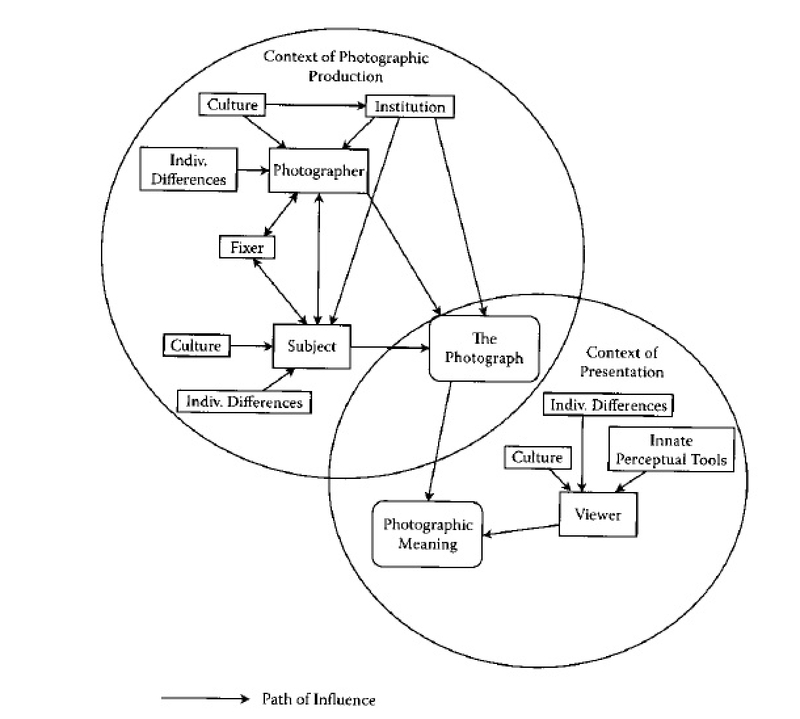 In his paper ‘The Construction of Photographic Meaning’ Andrew Mendelson proposes a model illustrating this. (Mendelson, 2008). The model expands on work by others who have argued that to understand photographs three aspects must be examined: the photographer, the subject and the viewer. I plan to adopt the broad structure of this model, in the form of a series of questions, as the basis for my comparative study. My first attempt at drafting a list of questions to be answered and compared for each photographer/work combination are set out below. What is the style and approach of the photographer and how is this influenced by his background, beliefs, cultural influences and demographic factors such as race gender and so on? How is the photographers approach influenced by conventions and constraints on what constituted ‘excellent’ and ethical documentary photography applicable at the time of production? How much autonomy did the photographer have and what was the influence of other decision makers such as editors, publishers and so on? What is the nature of the subject matter and how might the subject itself have influenced how the work is perceived? What was the nature of the interaction between the subject and the photographer and how might this have influenced how the subject is represented and as a consequence meaning? What equipment, processes, and photographic choices (point of view, selection of lenses, framing and so on) did the photographer use and how might this have influenced the perception of the photographs? When did the artist/photographer present his work and has the context of viewing changed since then? 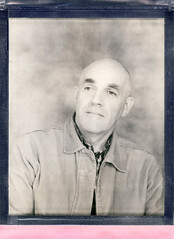 How does the artist/photographer associate (if at all) the photographs with other photographs or text? In what form and in what environment did the artist/photographer choose to present their work? Who was the perceived audience for the work at the outset and how has this changed (if at all)? Given the time and nature of presentation and audience for the work, what cultural factors might have influenced connotive meaning? How is meaning in documentary photography influenced by the contexts of its production and its viewing – A comparative study? Mendelson, A. (2008). The construction of photographic meaning. In James Flood, Shirley Brice Heath & Diane Lapp (Eds. ), Handbook of Literacy Research: Visual, Communicative and Performative Arts, pp. 27-36. Mahwah, NJ: Lawrence Erlbaum Associates. An interesting model and, to me, your title clearly reflects this approach. Thanks Catherine. Seasons greeting to you.